31-year-old Mike Majkowski is - apart from Clayton Thomas - probably the most exciting double bass player in the current Australian improv scene. He has been been very active playing with people such as Jim Denley (in the very interesting duo Blip), Jon Rose (with whom and Thomas he runs the trio Strike) and Chris Abrahams. 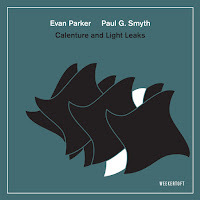 He is a founding member of the Splinter Orchestra, a large-scale electro-acoustic improvisational ensemble. Like Clayton Thomas (as to music they seem like twins) he has moved to Berlin where he has become one of the most active members of the Echtzeit network. His style seems to be influenced by the great Barry Guy since he is a technically excellent musician and he is interested in extended techniques, often using drumsticks and found metal objects in his playing. Despite his young age, Mike Majkoski has already been a part of many interesting releases. Several of them, including his intense solo works for his homeland label Avantawhatever or the latest one on Bocian Records, have been previously reviewed on these pages. He has also joined the florid orbit of NoBusinnes Records, giving us some penetrating albums like the Fabric Trio. According to the artist’s webpage there is a lot more to come. 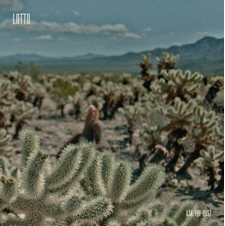 In the Lotto trio Majkowski teams up with the two likewise young Polish musicians Łukasz Rychlicki on guitar and Paweł Szpura on drums. Ask the dust, their first recorded effort as a group, has been just released by the Polish label LADO ABC and it points out a really coherent and mature vision in its linearity and agreeableness. The insistent bass loops set by Majkowski (and this guy seems to be totally mastering the idea that “nothing is always the same even if you repeat it endlessly” as in his latest solo work) as in the opening “Gremlin-prone” evoke a misty and at the same time warm cinematic atmosphere. It builds the perfect trestle for the bluesy western guitar layers (never invasive even when the distortion grows) while the sparse drumming on toms and the many clattering carpets help us to identify the shape of a lonely rider in a cloud of dust emerging from the horizon. The central episodes of the album, “Longing to speak” and “Comet”, are probably the best embodiment of this approach. 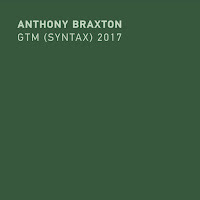 In some particularly diluted passages of “Divided”, which is made of really little variations given by mesmerizing repetitions (conception is pretty often behind Majkowski’s compositional vision again), but also in the crescendo of the closing “Man of medicine”, it would have been fun to assist the sudden outburst of an acid Sun-Ra-like synth riff. Last but not least, I believe the mastering of the album by Werner Dafeldecker, one of the most interesting “grey eminences” in the “wide jazz area” (see his contributions to the latest Fennesz masterpiece) is worth to be mentioned here. Ask the dust is, in my opinion, a good example of open-minded jazz with no fixed or overwhelming references, pleasurable to listen and furthermore completely streamable here. But you can also buy the limited vinyl edition on the label website. 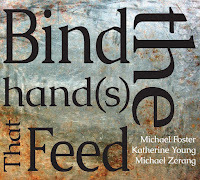 NoBusiness has had a long history of piano trios from Marilyn Lerner/Ken Filiano/Lou Grassi’s Arms Spread Wide over Upcoming Hurricane by Pascal Niggenkemper, Simon Nabatov and Gerald Cleaver to Plaything by Gianni Lenoci, Kent Carter and Billy Elgart. 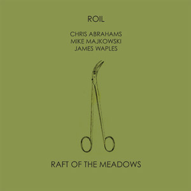 Their latest release is ROIL, an Australian piano trio which was founded in 2007, consisting of Chris Abrahams (p), Mike Majkowski (b) and James Waples (dr). Abrahams is mainly known for his work with The Necks (a highly successful piano trio featuring Lloyd Swanton and Tony Buck) and like them the music of ROIL is also slowly unfolding – but it provides a more open-ended context. However, as in The Necks the emphasis is also on collective improvisation and repetition to create a trance-like atmosphere. 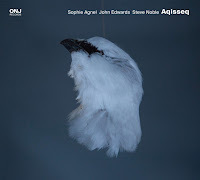 Abrahams’ inclination for weird yet simple figures and groove elements without confining the interactive possibilities of free improvisation meets excellently with Majkowki’s very physical and robust bass playing and Waples’ elegant and subtle interjections. Very often the pieces begin with tentative structures from one of the musicians before the others comment on it, but then they never get stuck on a melody or a groove, they rather shift the track into another direction which often happens almost indiscernibly. 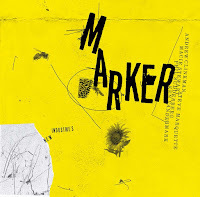 A perfect example for this approach is the title track which is dominated by Majkowski playing stoically one single note accompanied by Waples on cymbals. Then Majkowski decides to alter the bass line and Waples drops out, but he is soon replaced by Abrahams playing a very contrastive and bumpy free jazz pattern with extremely high notes. In the meantime Majkowski has taken the bow and his shy arcos fade out the experiment. It’s the controlled energy, the angular textures, the delicate dynamics that distinguish ROIL from The Necks. While The Necks’ approach is very accessible and sometimes even obvious (and I like that a lot) ROIL lives up to its name, with explorations of structures and timbres that are disturbing, fragmented and irritating. Raft of the Meadows is available on vinyl in a limited edition of 300 copies.